The drizzle early this morning did not deter participants of the National Press Club Media Run 2009 from taking part in the event. 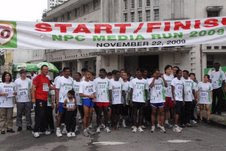 Everyone wanted to complete the 5km stretch and return to the Press Club at Jalan Tangsi, Kuala Lumpur for the prize-giving ceremony which began around 10am. The prizes were great; cash prizes and hampers for the top five in the different categories and more hampers and electrical items for the lucky draw segment. This picture shows the Mohamed women -- Jehan, Nisa and Adibah -- adjusting the tags on their T-Shirts for the run. Luck was on the side of these vibrant women. Although they didn't grab the top awards, they took home hampers from Giant and Milo. Seasoned runner Adibah, who received two hampers, donated one to a very young boy. 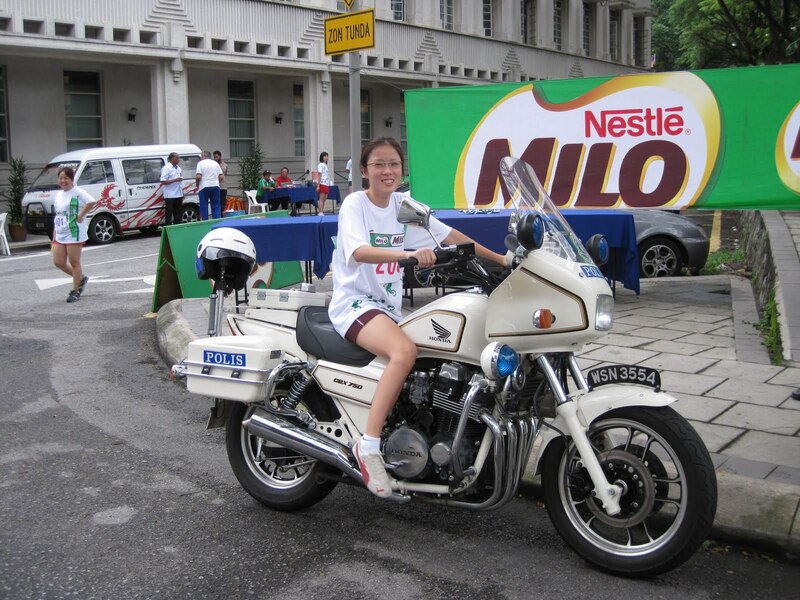 The five-year-old youngster took part in the run with his father, who is an exco member of the National Press Club. He looked so sad because he didn't get anything and that moved Adibah to give him one of her two hampers. 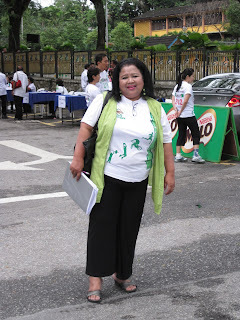 Nisa (see picture), like many other participants including this writer, walked rather than ran. 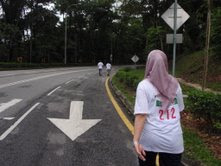 The route was from the Press Club at Jalan Tangsi, past Lake Garden towards Jalan Sultan Salahuddin, Jalan Dato Onn and back to the Press Club. This participant gamely posed for a picture before the run. 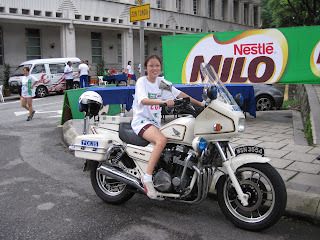 She found the police outrider difficult to resist. Thanks to the organisational skills of National Press Club vice-president Yani and her colleagues, the event proceeded smoothly. Everybody present was happy to have been part of this activity. Make it a walk next year, Yani. Yeah, me too. Waiting eagerly for next year!! !